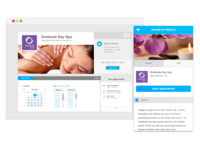 Ideal for any business or service provider who regularly schedules appointments with clients. Hairstylists, Massage Therapists, Business / Life Coaches, Holistic Practitioners, Trainers and more. 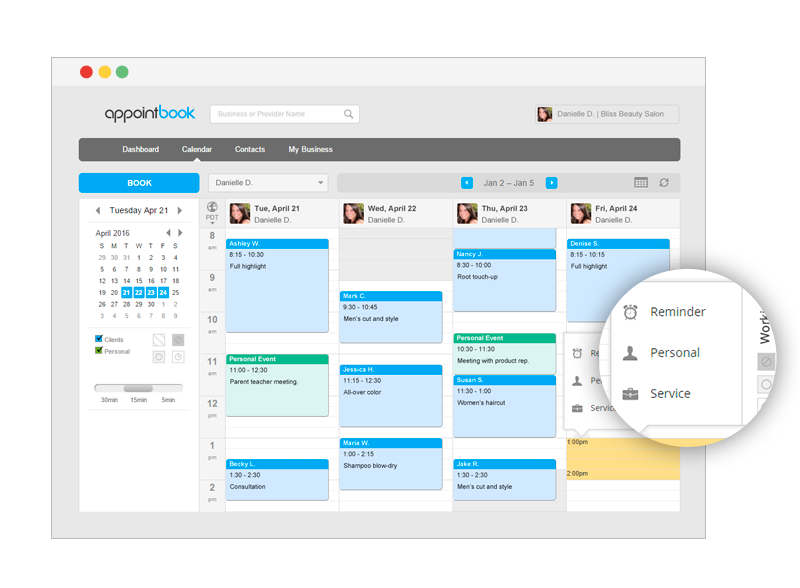 Appointbook is the online scheduling service that helps local business owners fill their calendars, promote their services, and access their schedules from anywhere. With Appointbook, service providers can better serve their clients while it takes care of scheduling the next - dramatically reducing phone tag, missed calls, and missed opportunities. 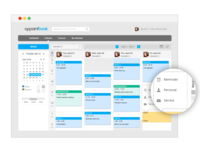 With the task of scheduling out of the way, our users have more time to focus on what they love. Sign up is easy and the first 30 days are FREE! Comments: I use to rely on phone calls and an older online scheduling service to manage my appointments. My previous service was confusing, especially for some of my tech-challenged clients. I like that Appointbook is super simple and the layout is really pretty. It's a lot easier for me to drag and change appointments since the calendar is drag and drop. Now the days that I'm off work my clients can book online, and I don't have to be answering phone calls. I used to never get a day off, some of my clients work until late at night and want to call me at midnight. 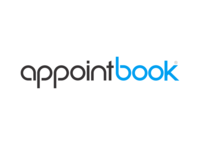 With Appointbook they can go online and look at what's available anytime. I feel like I have a personal receptionist for a fraction of the price of one haircut a month. It's totally worth it! Great for new business owner! Comments: Four months ago I graduated from my massage therapist program and decided to start my own business. I knew I had to look professional and wanted a website where people could book me online. After researching what options where out there I found Appointbook. I'm really happy I decided to use their application. I got my personal scheduling website page and I started promoting it on Facebook. A few days later I started getting appointments and friends of friends where filling my calendar. I couldn't be happier. I would totally recommend it. Easy to use appointment scheduling software. Comments: Simple for me to setup and an attractive presence for my business. Convenient to manage my schedule & appointments even when I'm away from the office. My clients report it's very easy to book appointments from their mobile phones and I love the automatic reminders. Appointbook has greatly reduced phone-tag with my clients and my stress has been cut in half. 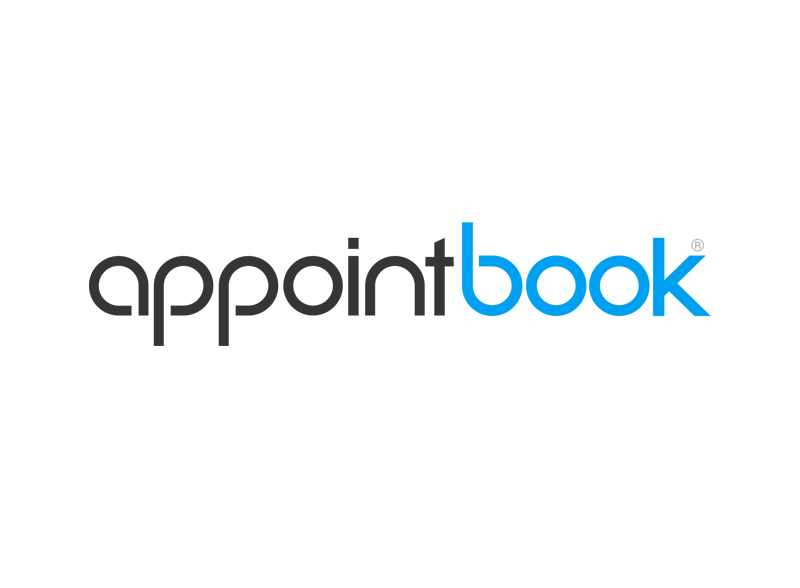 I would recommend Appointbook to any business that wants to accept appointments online while providing better service to their clients.